The book draws attention to the abundant fascinations of the natural world and the rich rewards that an interest in it can bring. As children there is the wonder and amazement of new plants, animals and places, the early realisation of the wild world that begins to unfold from our very own doorstep. With adulthood comes a fuller appreciation of the natural wonders that once may have been overlooked. The inclination to not take for granted the splendour of the truly wild country: the rugged uplands and remote coasts. A realisation of a need to get back to basics - to look with fresh eyes at the 'normal' or seemingly insignificant. Mirroring the cyclical qualities of nature itself, the way that the natural world is perceived comes full circle and an underlying philosophy emerges. 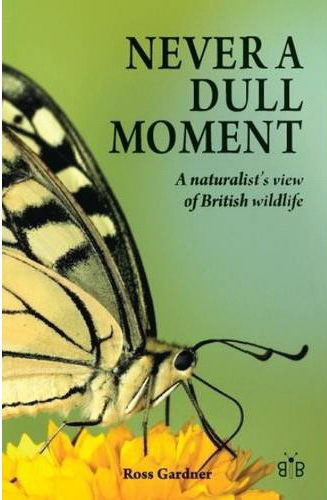 "A book that will both delight and charm, with such wonderful descriptions, almost poetry and with a touch of philosophy, about the natural world of Britain: the weather, the sea, the landscape...and the animals and plants that inhabit it."